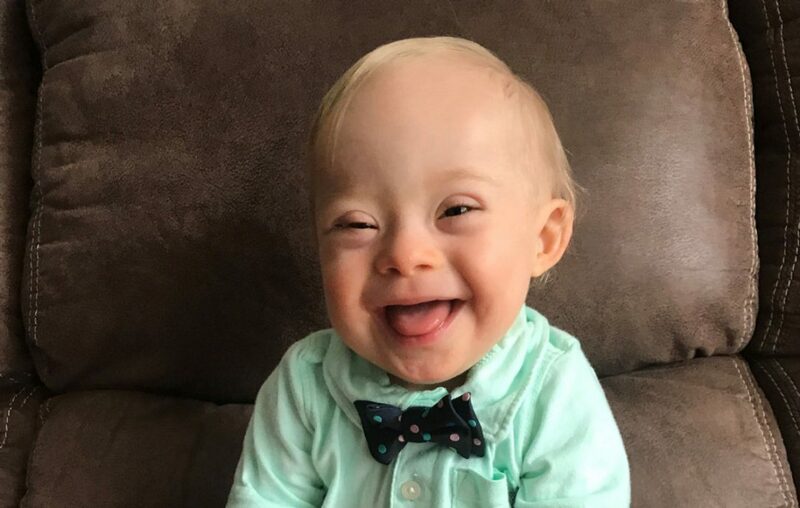 Gerber’s ‘spokesbaby of the year‘ is a child with Down Syndrome. Along with the exposure for a widespread public eye, as Gerber will be using the baby on social media and in advertising, it also puts under the spotlight parents who decided to keep their child rather than perform an abortion. Anna Maria Tremonti, of CBC Radio’s The Current, recently aired a segment after the Gerber baby announcement concerning attitudes and abortion around babies with Down Syndrome. You can listen to the podcast and read the article over at The Current’s site..
We may still have a long way to go to encouraging mothers and parents that all lives are sacred and providing the support that all care-givers really need for their Down Syndrome babies, but this goes a long way in the public eye.